The Samsung Galaxy S9 and Galaxy S9+ are expected to be launched at MWC 2018 or at a special event in March. While there have been plenty of rumours of about the fingerprint sensor placement or what the camera setup will be like on both the devices, it is certain that the Galaxy S9 and S9+ will have the Qualcomm Snapdragon 845 chipset. 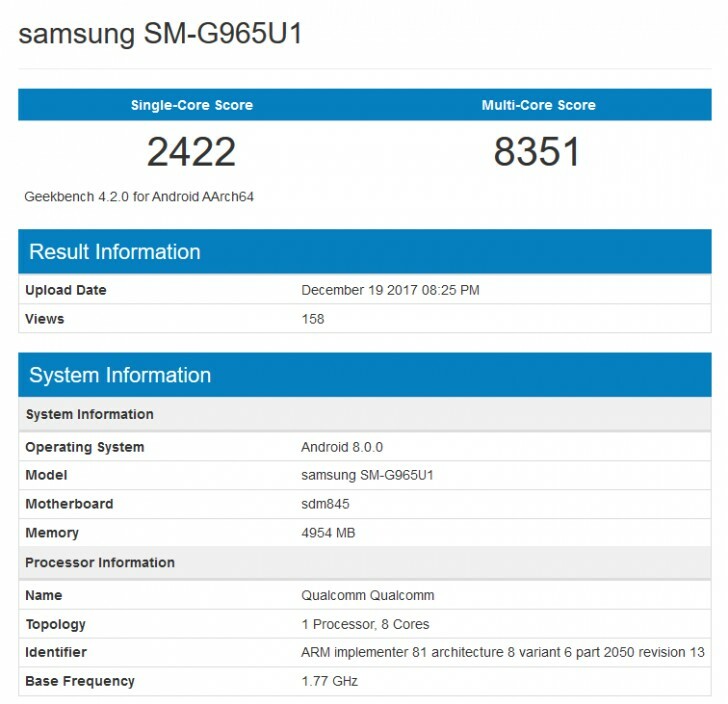 A new leak has revealed that benchmark scores of the Samsung Galaxy S9+ and they look impressive. 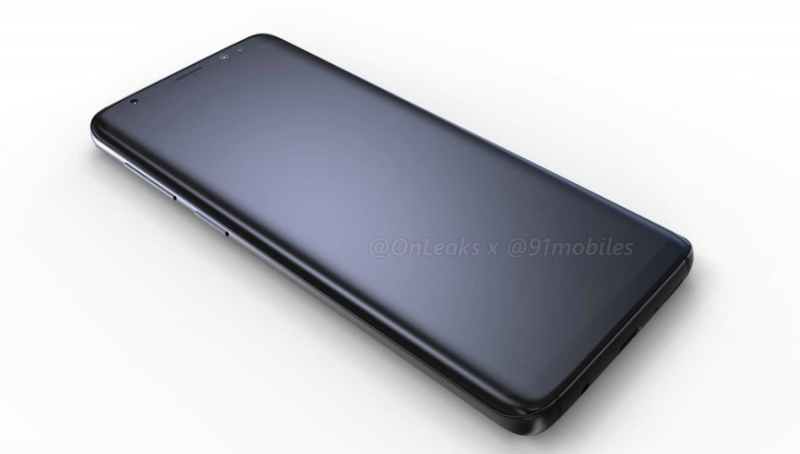 The model number in the Benchmark results is SM-G965U1, which corresponds to the larger S9 model just as the Galaxy S8+ and Galaxy S7 edge both had model numbers that ended in “5”. The single-core score gets a commendable 27% bump over the Snapdragon 835’ while the multicore score gets is 31% higher than that of the Snapdragon 835. While the numbers are impressive when compared to Snapdragon 835, the A11 bionic chip is way ahead of the competition. As is visible, the device in question here has the Snapdragon 845 chipset and similar to what happened in early-2017, Samsung will have exclusive access to the early batch of the flagship chipset thanks to its agreement with Qualcomm. This means that the LG G7, like its predecessor, will be powered by a year old chip, the Snapdragon 835.